This is one of my son’s all time favorite suppers and I shared it in Taste of the South’s Southern Plate Suppers issue, which is available on newsstands now (more info at the bottom of this post). I think it must be a teenage boy thing to love chicken fried rice. Brady used to ask us to go get it as takeout for him whenever the hankering hit him until I developed a quick and easy homemade recipe. He now prefers the homemade because I can add more of what he loves – which is why I often double the peas and carrots! This is just such a wonderful meal and I really think the brown rice makes it even better. You can, of course, modify it by adding in your favorite veggies, doubling up on ingredients that you like most, and adjusting the seasonings to suit your taste. Leftovers make a great lunch or even freeze well – but there is a trick to having leftovers: you have to double it and hide the other half when everyone sits down to the table! 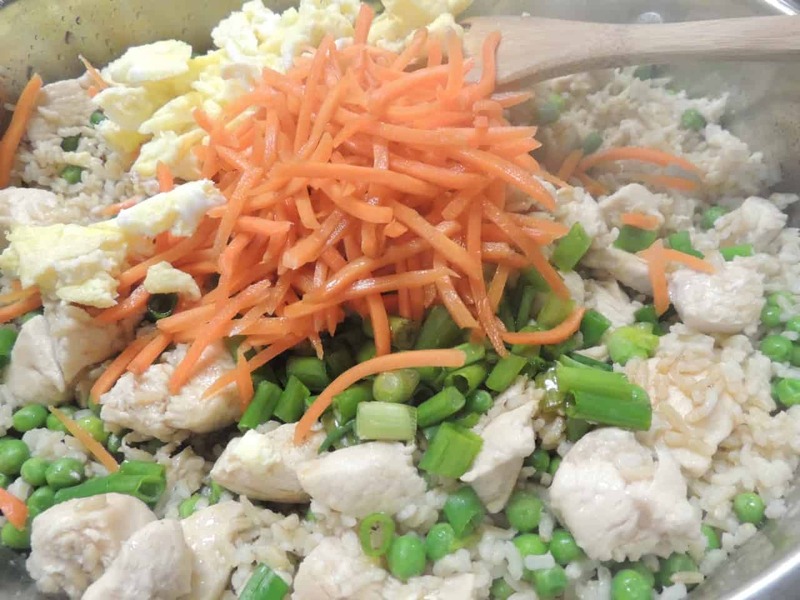 To make this exactly as I am making it in this tutorial, you’ll need: Vegetable oil, Frozen Peas, Instant Brown Rice, Soy Sauce, Garlic Salt, Eggs, Matchstick Carrots, Chicken, and some green onions. Then place some oil in a large skillet, let it heat up a bit, then scramble them over medium heat. Once they’re scrambled, scrape them out into a bowl and wipe out your skillet. In that same skillet, place remaining oil and chicken sprinkled with garlic salt. Cook this over medium to medium high heat until no longer pink in the center. Add peas, rice, and soy sauce. Cover and cook over medium heat, stirring from time to time, until heated through. Return eggs to skillet and add carrots, green onions, and remaining soy sauce. Stir until well combined and then dig in! In a large nonstick skillet, heat 2 teaspoons oil over medium heat. Cook eggs, stirring until scrambled. 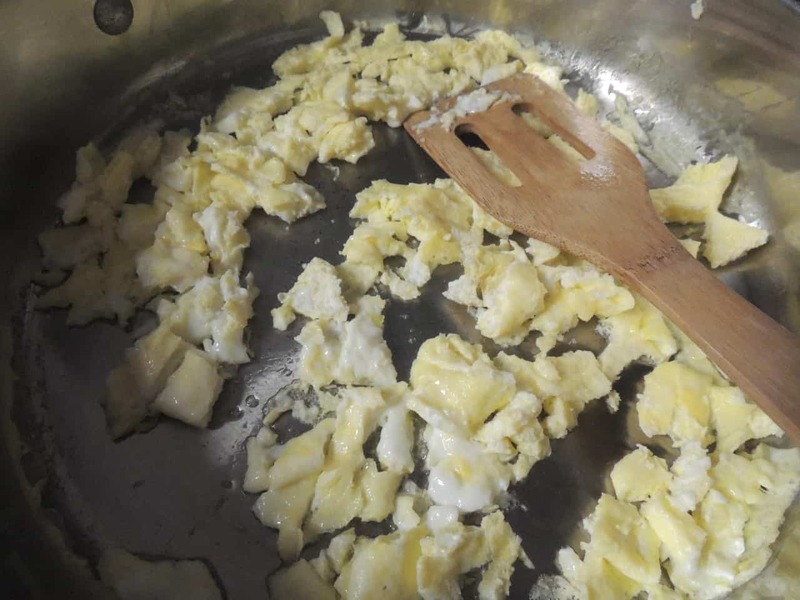 Remove eggs from pan; wipe pan. 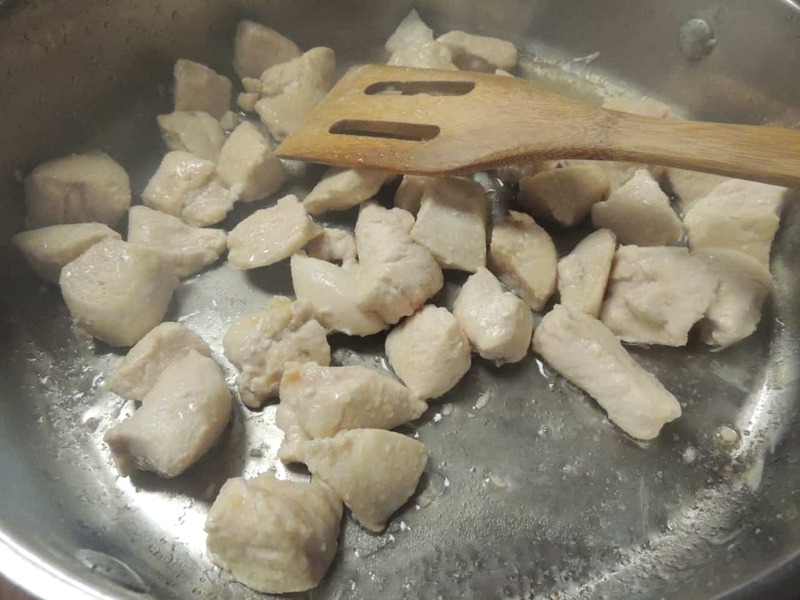 In a medium bowl, toss together remaining 3 teaspoons oil, chicken, and 1/2 teaspoon garlic salt. Heat skillet over medium-high heat. Cook chicken, stirring frequently, until chicken is no longer pink in the center, approximately 4 minutes. Add sesame oil, cooked rice, and peas to skillet. Cook over medium heat, stirring frequently, until heated through, 2 to 3 minutes. Remove from heat. 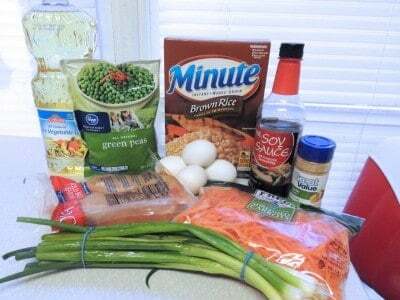 Gently stir in eggs, carrots, green onion, soy sauce, and remaining 1?2 teaspoon garlic salt. Adjust seasonings to taste. Serve with sesame oil, soy sauce, hot sauce, and garlic salt, if desired (we just serve it as is). This makes just enough for 4 people but I've found that it doesn't really cost me more to double the recipe so I usually do! Submitted by Dianne, click here to submit your own. 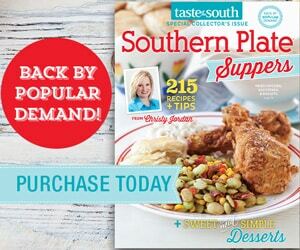 Southern Plate Suppers is available on news stands now or you can purchase it online with free shipping by clicking the image below! 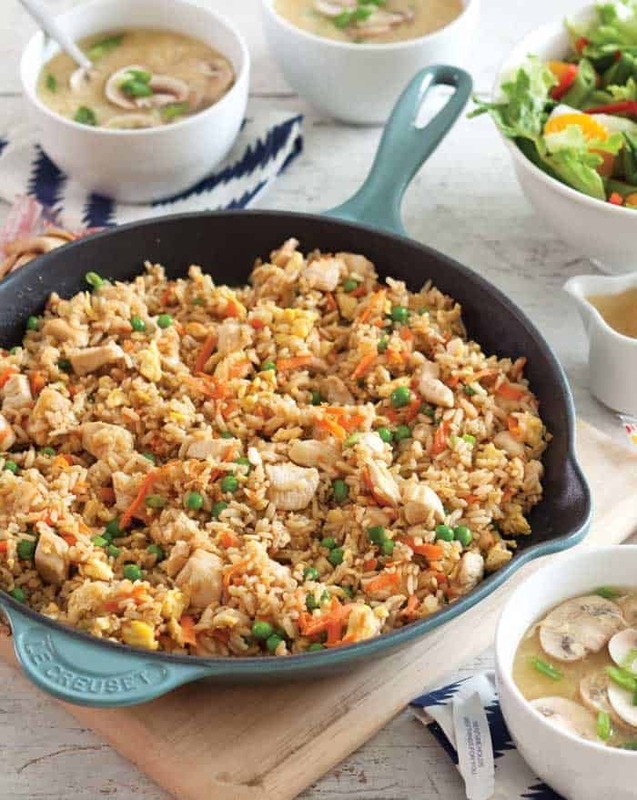 A tablespoon of Oyster Sauce mixed with the Soy Sauce adds another level of savory to fried rice. It really does can take your dish to a whole nother level lol. Does anyone have advice on how to keep meals w/ leftover chicken in them from being tough and dry? This recipe looks good and I would love to make extra but I don’t love the chicken when it’s reheated! Great question. I encounter the same problem. Sometimes I leave my left-over out to get to room temperature, (the health police will condemn that) and then I put the chicken, where appropriate, into a frying pan and lightly heat it. I sometimes put the chicken in the microwave for a very, very short amount of time (no more than 2 minutes to heat.) Many times, I will heat a sauce, either the sauce that was part of the original meal, or one that is culinary related, and then put the sauce on to the chicken. When reheating I use chicken broth or stock to the moistness that I want. Also I take straight from the freezer to the skillet to reheat and where it was frozen adds some moistness also. I reheat slowly adding broth as needed to my taste. I always save all my chicken broth and stock even if it’s just a half of cup sometimes you just need a little bit. 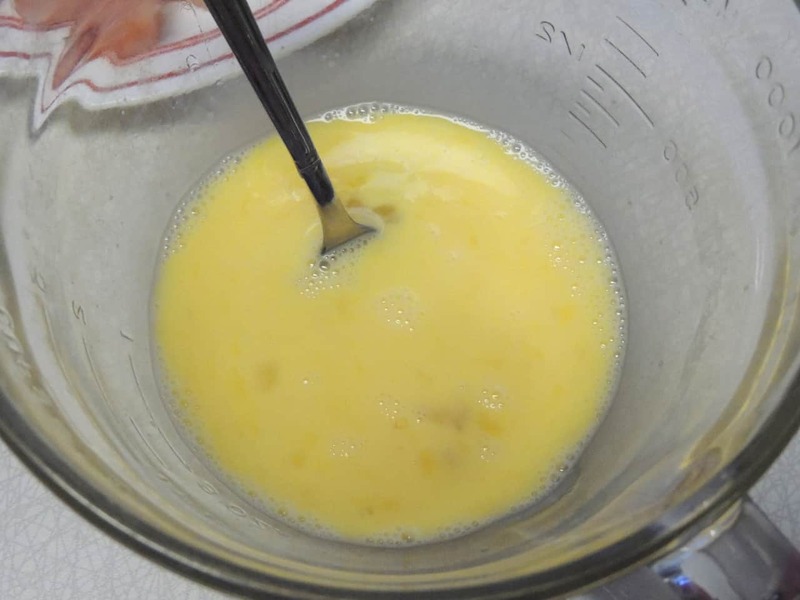 Also a trick I learned from reading Christy’s cook books that if you wait until cooked then add a pat of butter the butter flavor will be so good when added at the end and you didn’t use much. 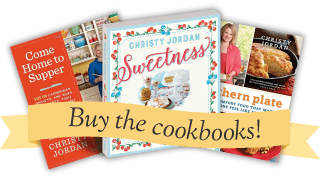 I have learned ton’s of tricks by reading Christy’s 2 books. I find that if you cover it as soon as you can and then reheat it, covered with waxed paper or Saran, it eliminates the dryness problem for me at least :). Although I’ve never really had that issue with this particular recipe. Sounds awesome! Do you have a recipe for the white sauce you get at the Japanese restaurants? To Christine, I also love the white sauce. I don’t know if you live near a Food Lion grocery store but if not check your local grocer for Yum Yum sauce. You can find it either on the Asian food aisle or sometimes with the bbq sauces and ketchup aisle. It taste just like Japanese white sauce. The soup in the picture looks good too. Would you share a recipe for that too? I made this it is AMAZING so very YUMMY!!!! Thanks for using brown rice. I also love the fact that Christy uses store brands and not all the high dollar ingredients. The common household can actually afford Christy’s recipes. Thank you CHRISTY for looking out for us!!! you are a jewel I am sure GOD will make you crown too heavy to carry with all the jewels you have earned for your crown. If possible, I would also like the recipe for the soup in the picture. I might try it for tomorrow night’s dinner. Hey! My recipe for easy egg drop soup ( the soup pictured) is in the Easy Southern Suppers Magazine as well as the Southern Plate Magazine. I’ll have to check and see of I can share it. Although it is my recipe, once it is printed in a magazine the copyrights change. However, if you have a copy of either, you have that recipe! I second that request, Glenda. That soup looks delicious! This is what we are having tonight. I have been making this since I got your magazine. But I use coconut oil instead of vegetable oil and I use white or jasmine rice. My whole family loves it. You know what i”m craving now! Wish I had chicken in the frig. 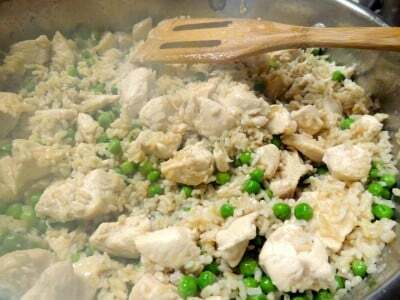 Just a tip I learned and thought I’d share: If you use pre-cooked rice for this dish, use it cold rather than hot or warm. This will keep your rice from being sticky. This tip was written for white rice, but I am assuming it applies to the brown rice as well. Cook well, eat happy! I do not like the texture of instant rice. What I do is whenever I make rice I double the amount I need – after it has cooled – I put it in a zip top freezer bag – flatten it out as much as possible and release the air. It freezes great and when I need rice for a dish – just thaw it and you are ready! I have done this for years and it saves me a lot of time. Great idea Jan! Thanks so much for sharing!! How funny! I made your recipe LAST night for dinner! It was a huge, huge hit with the whole entire family (hard to do with 5!). Thanks, Christy! That is a hard task indeed Kristi, but I sure am glad to hear that it was a hit!! The sesame oil must have been camera shy. I agree. I wrote down the ingredients from the picture and list above. I bought groceries today and bought the ingredients I wrote down. Now I see I left out the sesame oil. Oh well. My mother is half Asian and she always uses cold rice in her fried rice. I decided to clean out the fridge this week, and I was so happy to have all the ingredients for this except green onion! Leftover white rice from Sunday’s burritos was supplemented by brown rice from the freezer (I cook a huge batch at least monthly and freeze in 1 C bags to save time when I want it). A few lonely chicken tenders escaped the freezer, some giant baby carrots were shredded, leftover peas from Saturday’s dinner and some fresh eggs from the chicken coop rounded it out. This was simply delicious! I adore sesame oil, and there is no substitute for that. I look forward to trying it with oyster sauce added in also– Thanks Richard! I am so glad you liked it Heidi!!! Sounds delicious!! Christy, I see other people have already asked on here, but I would also love the recipe for the soup in the picture!!! This looks like the delicious coconut soup at Surin on Airport Road…have you found a recipe for a similar soup? If so, would you share the soup recipe as well? Can’t wait to make this recipe this week!! Also, I see that you say use 1 TBLS of dark sesame oil….do you fry the chicken in it or at what point in the recipe do you use it? Thanks so much! I didn’t see about Christy not having the sesame oil. I’ll just use regular I guess. 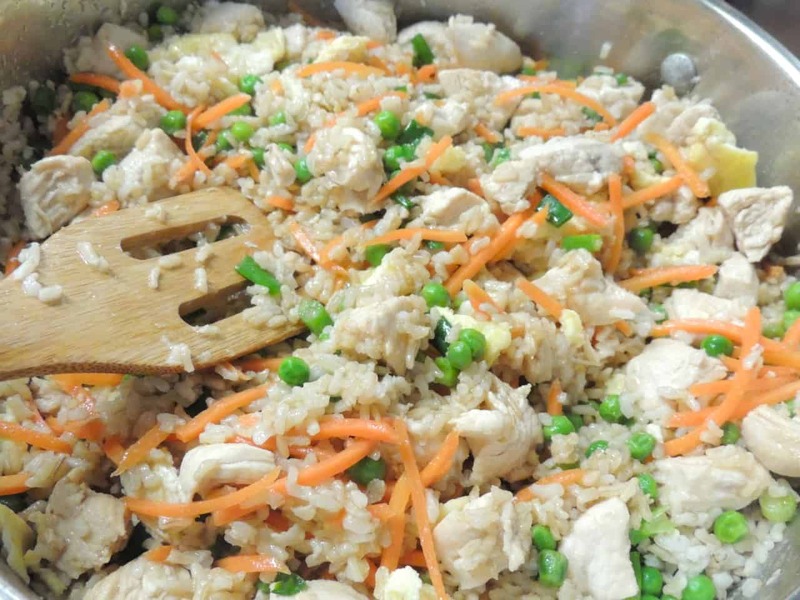 Waiting for you to answer the above questions 🙂 I want to make this recipe….I love Chicken Fried Rice….this is the only thing I get when we go to a Chinese restaurant and Egg Rolls of course…. But I sure want to try your recipe as I have tried many, and none even come close to what I have eaten out…..
Gotta get some Sesame Oil tho…..and some Oyster Sauce…..so I will wait to hear your answers…..
Just wanted to tell you that I made both your chicken fried rice and egg drop soup for dinner tonight. I followed the recipes exactly and used the sesame oil in both the soup and chicken fried rice. My kids are extremely picky and getting them to try something new is almost impossible. However, they both devoured both things and asked for seconds! My 13 year old has never liked ANY type of soup in her life, but is now a huge fan of your egg drop soup!! This meal was so different that most dinners I make, which made it even better. My husband is now begging to take the little bit of leftovers we have to work tomorrow for lunch, Thank you for both of these fabulous recipes which are going to become regulars in my dinner rotation!!! Oh my goodness, you just made my day Jennifer!! Thank you so much for sharing this with me and I am so glad to hear that everyone liked both f the recipes!! Wow! This was easy & great. My hubby is the “wok-er” so he made it for us. I added some oyster sauce & hoisin sauce. The sauces seemed to add a bit of authentic-ness to the dish. I added in a couple of radishes diced & I used leftover pork chops that were baked in a balsamic vinegar sauce. So, it was “Twice Cooked Pork Fried Rice. I used1 part egg substitute & 1 egg & it was great. Jeepers, it was great! You’re right, it was tons better than any restaurant! I am so glad you liked it Lori!!! This is wonderful! My teen daughter loves it with pineapple chunks thrown in. Oh great idea Tracy, thanks for sharing! I used mulicolored quinoa instead of brown rice to adapt this recipe for my dietary needs. It was delicious! Thanks for the inspiration. That sounds wonderful! May try it myself! I’m not one to eat things that swim, but I bet it would be great! I made this and it was absolutely delicious! I took out the peas and added bean sprouts because, well you know, that’s what we like. It was so good! It will become a family regular, I think! Yum! PS…and a salad tops off a healthy meal! This would be so awesome to win. My sister would be sooo jealous! Love the idea of chicken fried brown rice. I love pineapple!! This was absolutely delicious!! I loved it as well as my husband and our two year old daughter!! Thank you for sharing; we will be making this recipe a regular in our meal rotation! !